Technology is rapidly changing business industries making other companies obsolete. 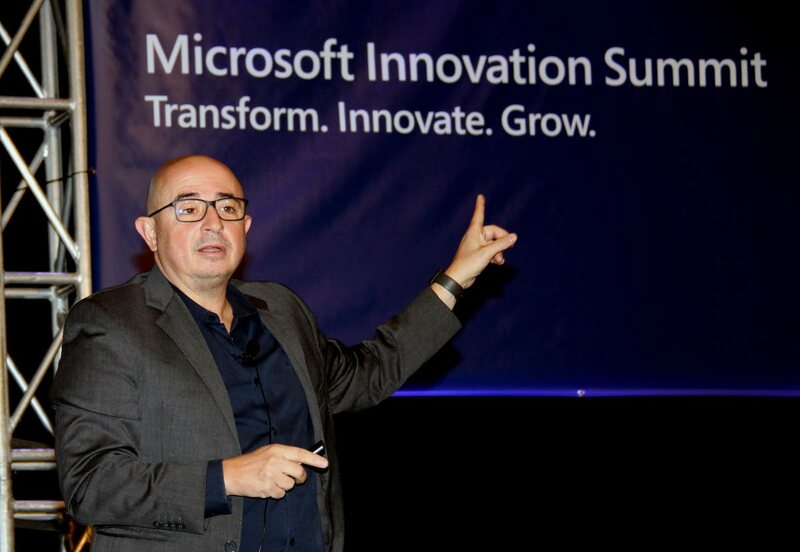 This was the view of Roberto Icasuriaga Gatti, Microsoft's Director of Small, Medium and Corporate Business for Latin America and the Caribbean keynote speaker at Microsoft Trinidad's Innovation Summit on Tuesday at the Hyatt Regency, Port of Spain. He told the audience big data and AI technology could revolutionise their jobs, however, warned that all industries must brace themselves for the changes emerging technology would bring to their industries. Gatti said companies were being disrupted by rapidly produced and evolving technologies. He said, for example, WhatsApp was introduced ten-years-ago and took over the messaging market from SMS and even Uber, which disrupted the taxi market internationally, would soon be disrupted by self-driving cars. "Every single company is subject to be disrupted now, tomorrow or in ten years," he said. Gatti warned the audience that businesses must be prepared to adapt to the technological disruptions. "We all know some professions do not last forever. We know that technology changes the jobs we can perform and the professions we have." He said by implementing AI technology in the work, jobs could operate more efficiently, freeing up employees to do other work. From police detecting crime, the government collecting taxes, fast food operators taking orders, doctors diagnosing patients or mall owners determining how to cost their stores, AI technology could help people do their jobs more efficiently and accurately using data to drive their decisions. Mall owners, for example, could determine which areas of the mall have higher foot traffic using heat maps in the sensors. Then they could charge a higher rate for the spots with more people frequently traversing. Grocery store owners could determine what time of day has most customers, what products are bought at different times of day and this information could help them organise different promotions. He said AI technology in camera sensors could optimise the way traffic lights change by determining the times the traffic is heaviest and adjusting the lights to suit. He said cameras in a manufacturing company could detect if a person was not following proper security protocols, and inform management as such to reduce injury. He said for local government, social listening tools could monitor social media for people who had a complaint. For example, a pot hole picture posted on Twitter could be detected by the social listening tool to inform the regional corporation about the problem, have them repair the hole and then reach out to the original tweeter to inform them, improving the relationship with the constituent. Gatti spoke about voice recognition software implemented by McDonald's internationally that recorded customer orders at drive throughs. He said the risk of a customer getting the wrong order decreased and the efficiency of the ordering process. "Through machine learning, the person could be asking you what you want. Through machine learning and speech recognition it could help the employee operate faster. The machine records the order to reduce inefficiency and risk of mistakes." Getti said AI technology would even impact the way doctors did their jobs. An individual's biometric data combined with cloud-based information and big data would allow for a programme to analyse a patient's health and diagnose them more efficiently than a person could. Microsoft offers a free course called AI Business School where people can go to find learning materials, information and resources to learn how to integrate AI technology to optimise their business. Reply to "Microsoft: AI creates more efficient work force"